The world gave us all kinds of new tours and attractions to look forward to, with many of them promising to emerge as future superstars and perhaps replace a few from the current list. Bookmundi examines the hottest new attractions of 2015, to help you explore these wonders before everyone else around you and enjoy the right of saying ‘I was there’. 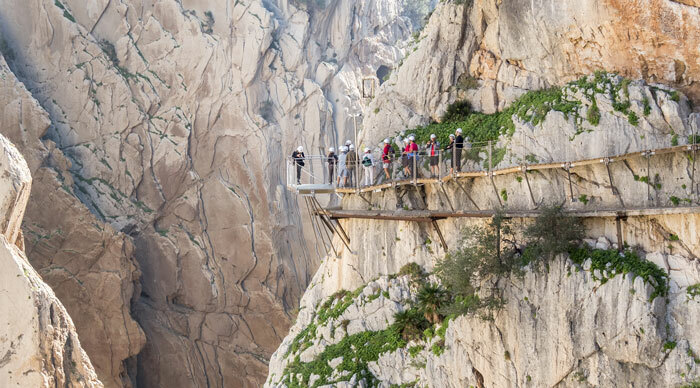 Camino del Rey is an incredibly popular walkway that connects the El Chorro village to the El Chorro gorge. What was once famous as the most dangerous hike of Spain now offers a safe haven to adventure enthusiasts and nature lovers. The narrow path along the cliff’s edge was responsible for a number of deaths and it has rightly been renovated, made safer and finally reopened for public use. Today, the path offers a 5 km. wooden walkway which also includes glass panels in certain sections that promise sky-walking adventures. 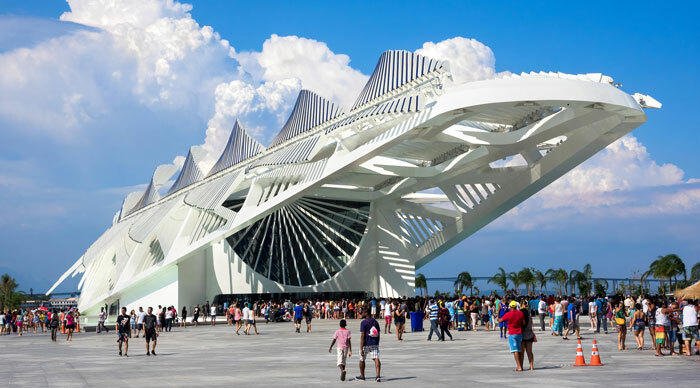 Talk about futuristic architecture and outlandish designs. Just when you thought you’d seen it all, Dubai manages to leave you bamboozled with yet another architectural beauty. The Dubai Frame is one such creation that is sure to go down into history as one of the most fascinating designs to have been created by man. Located near the Zabeel Park, this unique rectangular structure actually resembles a photo-frame and offers grand views of both New Dubai as well as Old Dubai. The frame also has a glass walkway which offers panoramic views of the Dubai Creek, Bur Dubai and Karama from one side and futuristic wonders such as the Burj Khalifa and Burj Al Arab from the other. Home to some of the best and most popular attractions on the planet, it was surprising to see that Singapore didn’t boast of having its own National Gallery. All that changed in the month of October 2015 with the launch of the National Gallery Singapore, the hottest and newest art institution in the country that has been entirely dedicated to promoting Singaporean and Southeast Asian art. 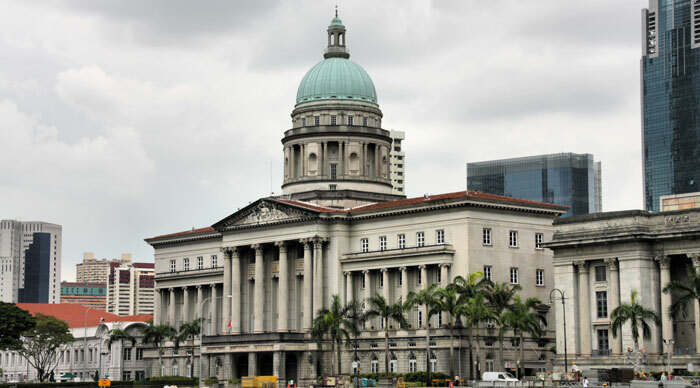 The gallery is located in two of the most iconic monuments of Singapore – the former Supreme Court Building and the City Hall, and this means that it also high on architectural beauty. Located between the Giza pyramids and Cairo and covering an area of 480000 sq. m., the Grand Egyptian Museum in Giza has emerged as one of the largest archaeological museums on the planet. Inaugurated in the year 2015, this iconic institution is home to as many as 100000 artefacts which cover more than 7000 years of human history. Of particular note are the 3500 artefacts that belong to King Tutankhamen. Guests can also enjoy panoramic views of the Giza pyramids from the top floor of the museum. Another highlight is its translucent stone that changes its color at night. The Rimutaka Cycle Trail opened its doors towards the end of the year 2014 and emerged as a part of one of the 22 new Great Rides of New Zealand. 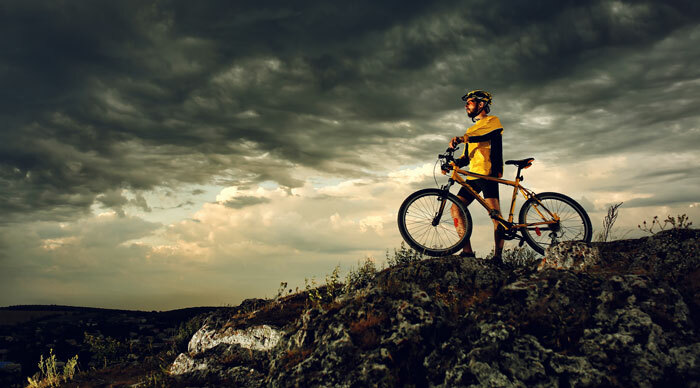 Covering a stretch of 115 kms., the trail loops through Wairarapa and Wellington and offers enough excitement for newbie cyclists as well as pros. The entire trail can be covered in a 3-day journey and there are enough accommodation options en-route. The biggest highlight is the Rimutaka Rail Trail, famous for its old railway relics and beautiful scenery. 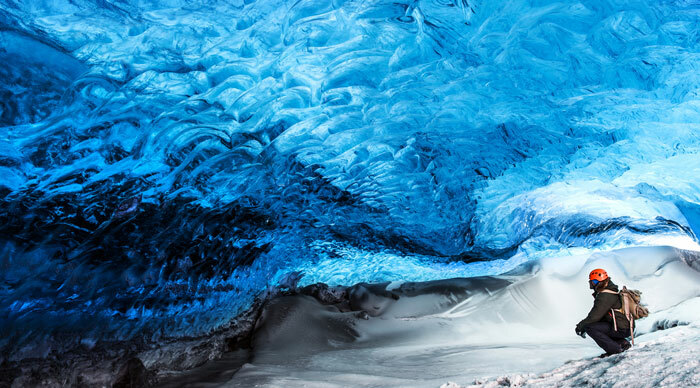 The Ice Caves are perhaps the most awe-inspiring work of Mother Nature that we have seen till date. Located in the second-largest ice cap of Europe, this network of caves presents a huge tunnel that stretches over 500 m. and offers an entirely new dimension to glacier adventures. The best way to explore the Ice Cave is in an 8 WD vehicle. Ride up to the mouth of the tunnel and walk into the blue interiors for the most fascinating experience of your life. What’s inside? How about exhibitions, cafes and a chapel to start with! Talk about unique wedding locations!! The Museum of Tomorrow covers an area of 30000 sq. m. in Maua Pier, Rio de Janeiro. Featuring recreational areas, cycling paths, gardens and a reflection pool, the museum tries to focus more on ideas and not on objects. The unique structure itself is one of the museum’s biggest highlights. It already found a place in the list of the most extraordinary buildings on the planet and it constantly challenges you to think about things environmental degradation, social issues and climate disasters. The museum might present a gloomy picture, but it is never dull, always exciting. This brand new coastal walk is taking the world by the storm. 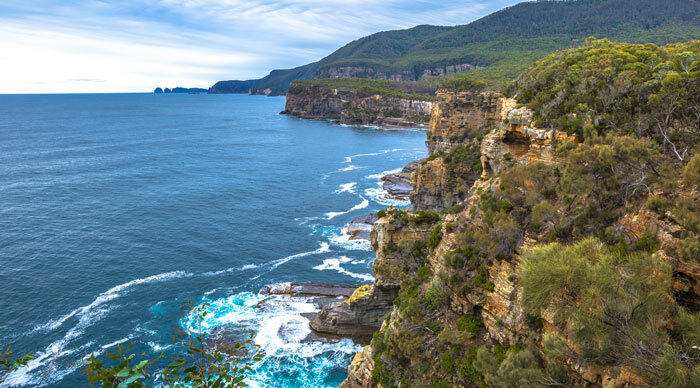 The Three Capes Track is an ideal way of exploring the rich scenery in the Tasman Peninsula through an inspired 82 km. multi-day walk complete with accommodations and adventures. One can choose to explore the trail on their own or become a part of the one of the many group tours operating in the area. Walks include hut accommodations with cooking facilities and mattresses and mesmerizing views of the tallest sea cliffs and beautiful expanses of the ocean. The second Louvre is all set to entertain visitors in Saadiyat Island, Abu Dhabi. Billed as the first universal museum in the region, the Louvre showcases works of art from all over the world, but particularly focuses on four major periods. The initial exhibits shall be offered on loan from different museums in France and the museum shall develop its own collections over the years. 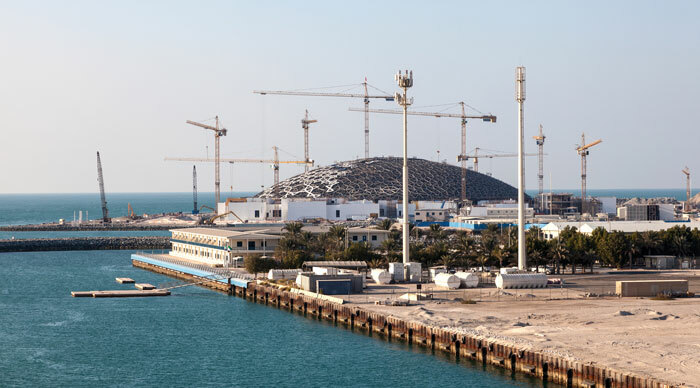 What makes The Louvre, Abu Dhabi more magical is its traditional Arabian architecture, which includes a white doomed roof and souk-like interior. The World Observatory of NYC was one of the most anticipated attractions of the year 2015. 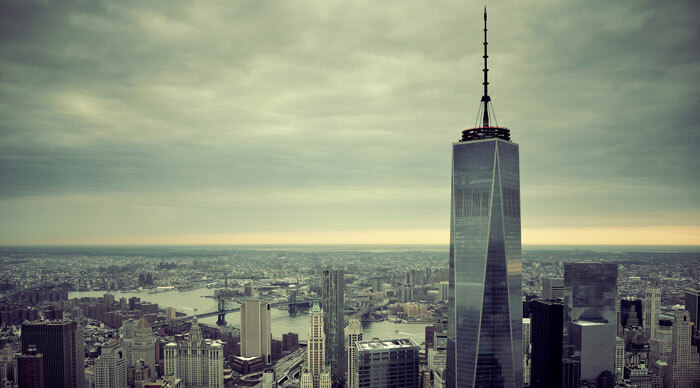 The year saw the inauguration of the observation deck at the One World Trade Center as the skyscraper touched 1776 ft., a height that signifies the year when the US Declaration of Independence was signed. Visitors can expect jaw-dropping panoramas of Manhattan and its surrounding districts as well as three floors of shopping and dining space at a height of 1250 ft. 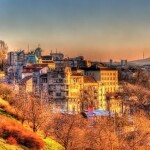 The attractions on this list can easily feature in your bucket lists as each promises a never-before experience, one that is as fascinating as those ancient wonders and as exciting as any of the futuristic buildings out there. So the next time you plan to visit one of these cities, make sure that you add in some extra room for new tours and inspired adventures. It is an experience you would not want to miss out on!! !